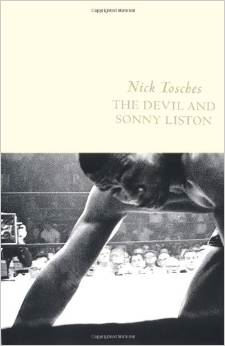 Liston's rise through the amateur ranks had been so fast and so fulminous--such a sudden, attention-commanding burst of neon lightning and Shango thunder--that the price negotiated for his professional debut was two hundred dollars, about four times the going rate for a preliminary novice. Fulminous: a word you don't see very often unless you're a chemical engineer in a niche career or a backyard pyrotechnist, ala George Plimpton. Or, perhaps, a meteorologist. But it's a word I like, perhaps all the more so because of its rarity.